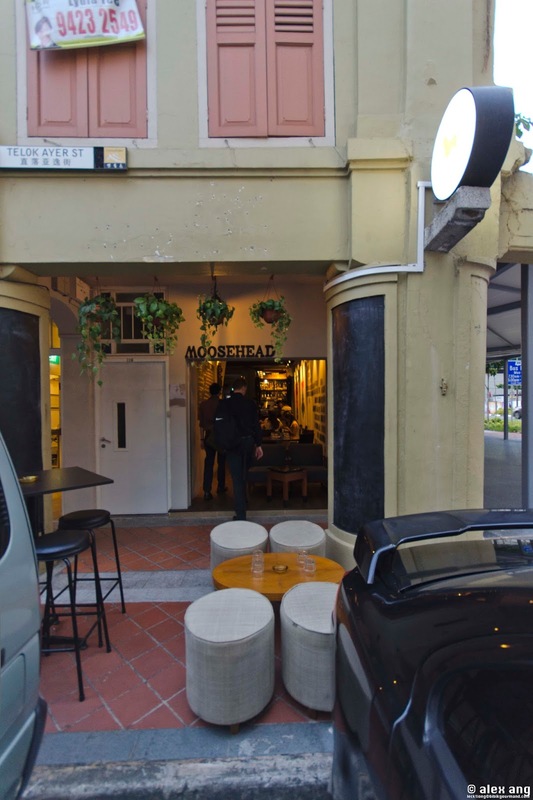 It may be named for Canada’s oldest brewery but Singapore’s latest small plates eatery, named Moosehead Kitchen Bar (“Moosehead”), has no Canadian lineage and neither does it have its roots in Scandinavia. Thankfully, moose meat is not on the menu too. As random as its name sounds, Moosehead is an orchestrated collaboration between a Greek-Australian father-and-son team: Daniel Ballis, who spent the last 18 months managing the bar at One-Ninety (Four Seasons Singapore), and his father, Glen Ballis, co-owner and executive chef of 6 F&B outlets in Moscow. 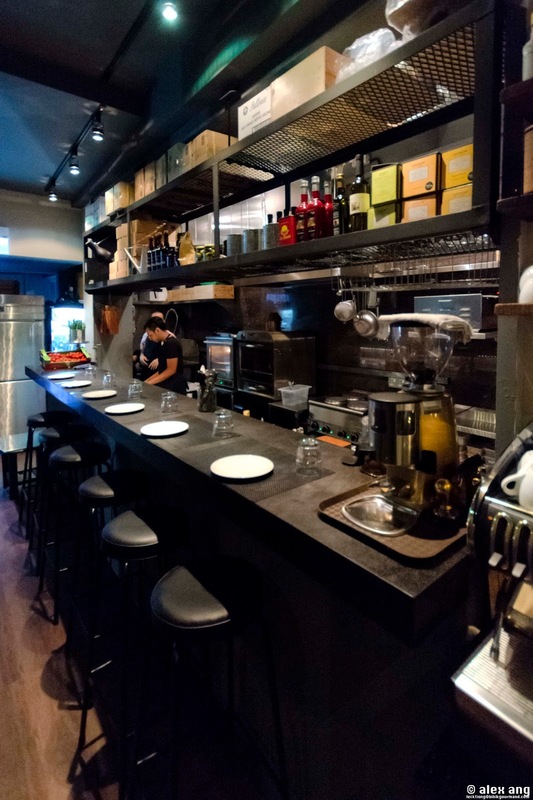 The eatery debuted at a conserved shop house space in the up-and-coming Telok Ayer Street since mid July. Save for whirling ceiling fans and two gigantic wall-hung canvas paintings, the narrow digs is decidedly sparse. Still, it manages to cramp-in 40 pax with a smattering of dining tables, clubby high tables plus a 6-seat counter that abuts an open kitchen tucked at the restaurant’s rear. Given Ballis junior’s experience, expect a spiffy wine list (the 10-label list is work-in-progress). But make no mistake; Moosehead is as much about the food as it is about the booze. Manuel Valero Ruiz, a Spanish arts graduate who was with Foodbar Dada’s opening team before landing his last job as chef de cuisine of Prive Grill, heads up the kitchen that features an indoor charcoal oven as centerpiece. Like Esquina and Foodbar Dada, majority of Moosehead’s hipster menu of Mediterranean-inspired small plates are barbequed in this charcoal-powered oven. But there isn’t an extensive menu to speak of – just about 10 dishes plus 2-3 desserts thrown in for good measure. 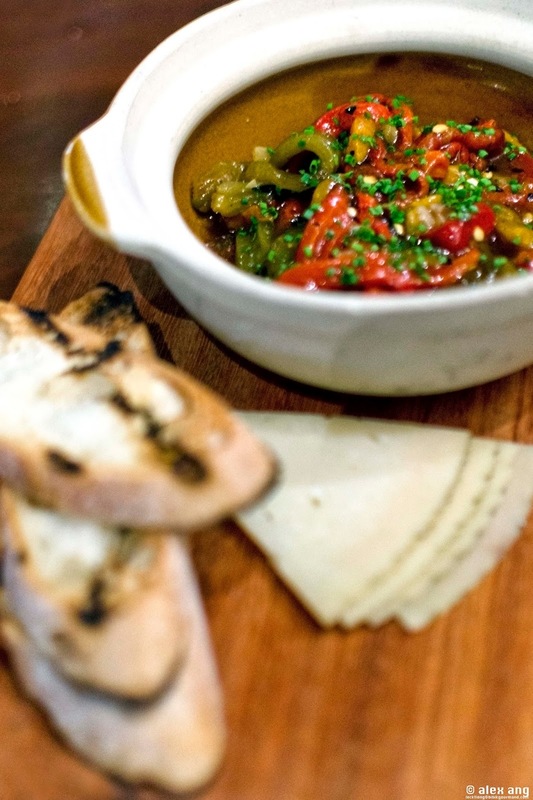 To start, the dish of baked and marinated peppers (S$16) is a standout. Capsicums in a kaleidoscope of red, green and orange are first marinated in olive oil and white wine vinegar then roasted until soft and completely charred on the outside. After being stripped of its blistered skin, the peppers are tossed with chives and served with slices of Manchego cheese alongside a stack of toast. Eating these can be a messy affair but well worth it. 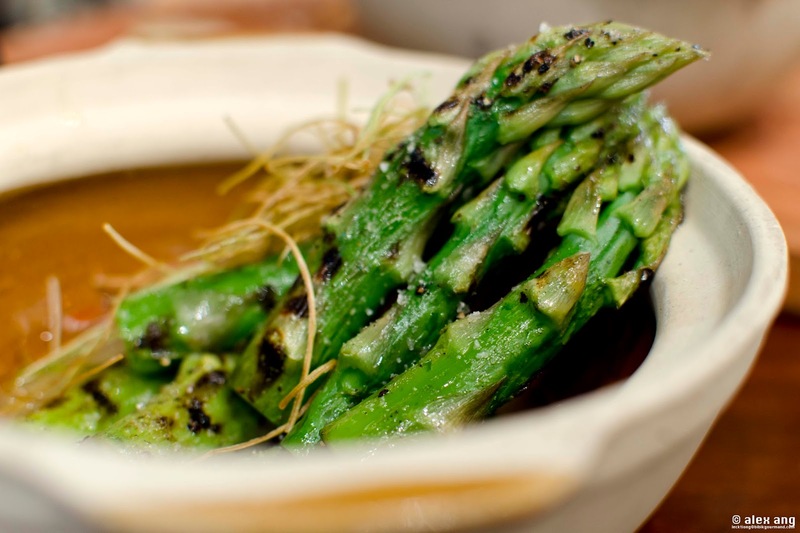 The dish of char-grilled asparagus (S$12) is also exemplary: thick-as-thumb Australian asparagus are oven-grilled and served with deep-fried leeks in an aromatic miso brew infused with garlic. The broth is incredibly addictive – don’t say we didn’t warn you. 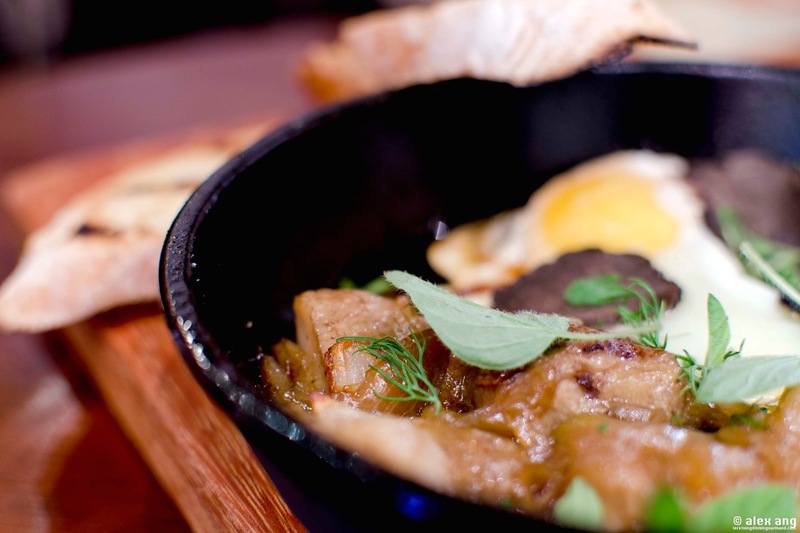 Try the breakfast-perfect dish of DIY scrambled eggs (S$16), one of our many favourites at Moosehead: smoked Portobello mushrooms, caramelised onions, toasted garlic chips and eggs are cooked in the oven and served with shavings of black truffles plus a sprinkle of dill. To be scrambled at the table, the combination of sweet, pungent and earthy flavours with a hint of smokiness is intoxicating. Restaurants rarely get them all right but Moosehead’s tight menu of small plates gives it an upper hand. 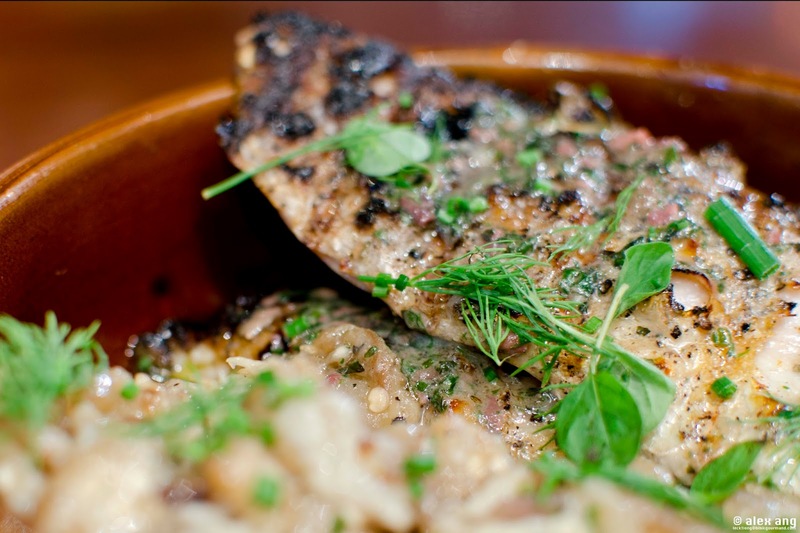 Seabass (S$24, note that fish type changes daily depending on what’s fresh at the market) is grilled in intensely savoury anchovy butter until its skin is crisp and the flesh still moist and steeped in umami. With 2 generous slices served alongside a generous mound of smoky oven-roasted eggplant ‘caviar’, it’s hearty and downright delicious. 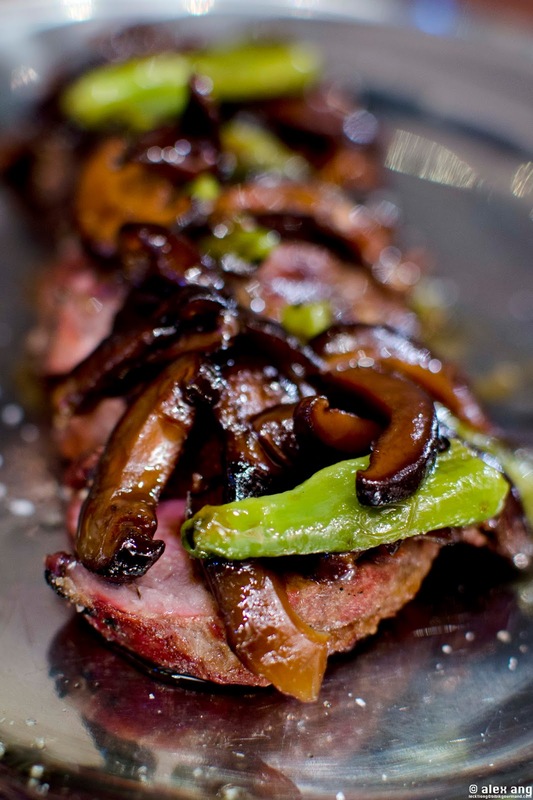 The same goes for the Iberian pork ‘presa’ (S$34). The marbled ‘presa’ meat (between the top of the shoulder and the loin) is grilled until it’s charred on the outside but still succulent and tender within. Ruiz slices and serves these with pickled shitake mushrooms and scorched Japanese shishito peppers to cut the buttery mouth feel. Suffice it to say that the unlikely marriage of ingredients may sound strange at first but end up oddly agreeable on the palate. 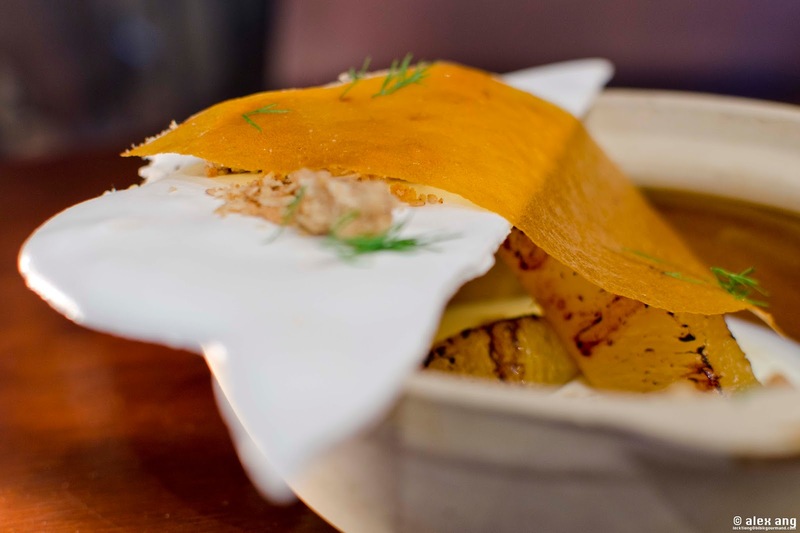 Even the sweets are impeccable; think anise-roasted pineapple chunks with oatmeal-enriched coconut yoghurt served alongside a sheet of coconut meringue with an accompanying dehydrated apricot ‘leather’ (S$12). Did we mention that the noise level at Moosehead is capable of reaching near deafening levels when the eatery is packed? We weighed the pros and the cons and we reckon that with such affordable prices and tip-top kitchen execution, we are happy to turn a deaf ear to the din. 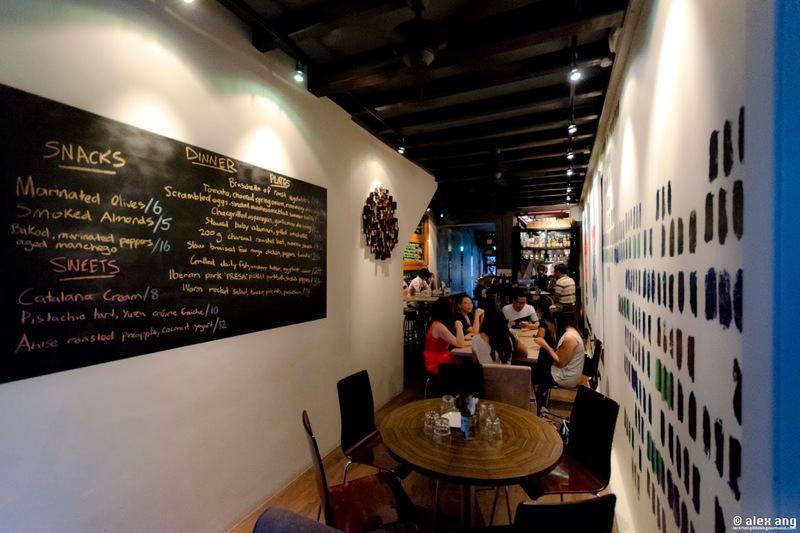 You may also like Singapore’s best tapas bars / small plates restaurants. Please note that the reviews published in this blog are sometimes hosted. I am under no obligation to review every restaurant I’ve visited. If I do, the reviews are 100% my own.